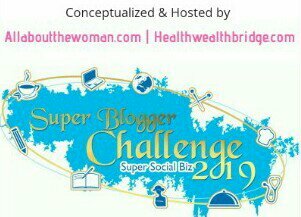 The blogger in me waited for April, 2018 with abated breath ever since I decided to participate in the A-to-Z Challenge. Things became more unnerving when I planned my long due visit to my parents in the last week of March and planned the holiday to go upto almost one third of April. 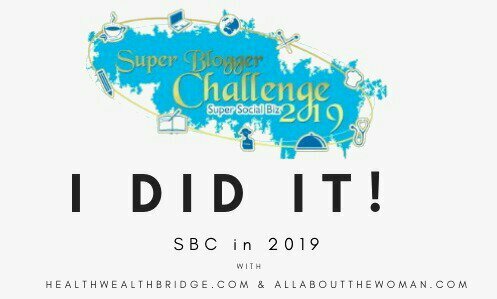 I was almost on the verge of dropping the idea of blogging everyday, when the adventurer in me accepted the challenge and I set out with a strategy. With little planning and additional time investment in writing I completed the drafts of the first 15 posts for the A-to-Z Challenge before I set foot in April. This gave me ample time to get back home and get into the groove to hit the writing board for rest of the posts. While the writer in me is really thankful for the blessings and guidance for being able to complete the challenge, I am a little disappointed with myself for not being able to read as much as I would have wanted to. With the travel, new school session and my own lethargy I just did not meet the mark. Nevertheless it has been a learning experience for which I am thankful to the universe. My father completed his lifetime stint with his maiden employer and retired last month. We celebrated the beginning of the second innings of his life with a bash inviting our near and dear ones. What made the occasion special was that we as a family too had gathered for the first time after my sister’s wedding two years ago. My boys’ spent some quality time with their Massi and grew fond of her in no time. My gratitude for the little mercies! I met my best friend after a time gap of 7 years. We have ofcourse kept in touch through technology, but the physical proximity was just too comforting and encouraging. It felt like I was united with a part of myself. God knows when we will meet next. But I am thankful that we could meet up atleast on four days of the week we were in the town. We finally made our first trip with both the kids all to ourselves. It was just me and Mr. Husband with the kids on a four day trip to Dharamshala and Mcleodganj. Did we enjoy ourselves? Well I am not at all disappointed. While we had to reduce the pace of our trip to suite the kids, we were able to accomplish quite a bit. Para-gliding, Zip-Line, kids amusement park, the Dalai Lama’s Monastry and street shopping at Mcleodganj made us feel quite accomplished on our trip. I really am Thankful for this trip and hopeful for many such trips in future. Nik has now started some serious studies at school. For the first time since he joined formal school two years back , for the first time he is receiving some real homework. Though sometimes it’s a task to get him to sit down and write, I am managing it well. My gratitude for a fast learner as a son. Only if he were a little more attentive with a lot more concentration, life would be much easier. Lucky has begun his play-school. Though he doesn’t seem very enthusiastic about it, he is settling well. The good by-product for an advantage is that now I have full 90 minutes to myself with no body to hound me for attention. Can’t wait when Lucky will start going to school full day. That’ll be three of pure bliss. A trip with family is always fun. Glad you had the time and turned out power packed. Good job with A to Z and congrats for completing it. I sat back this year after completing it for 3 years in a row. Like you, I was travelling too but did not schedule or write at all. I think reading is something that I feel always takes a back seat unless all 26 posts are scheduled. Oh God! I almost missed your comment in a myriad of spam messages. Thanks for dropping in. For me the trip was a morale booster, becasue when my second one was born, I started beleiving that my wanderlust would have to wait for atleast 5-6 years. But it hasn’t turned out so.